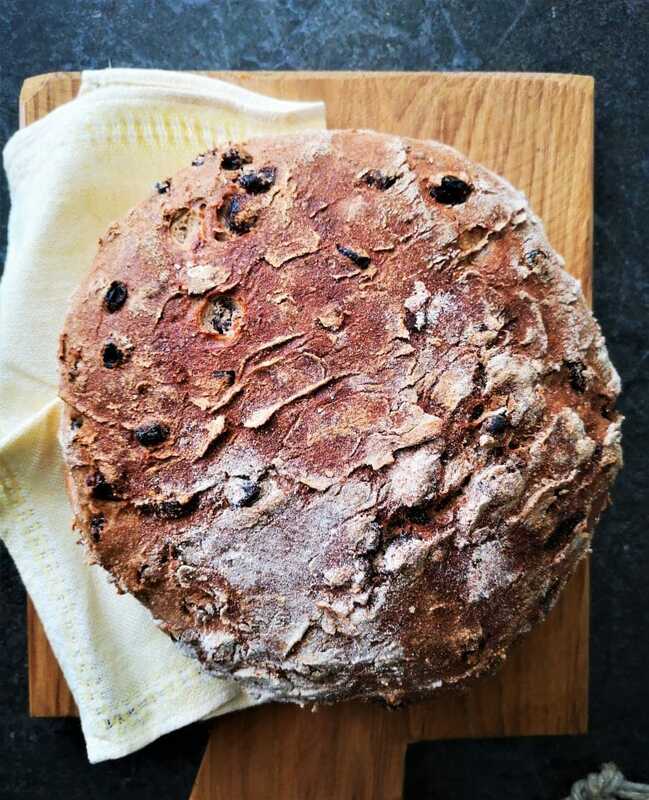 In Hungary, in the Netherlands and in many other countries people tend to eat more raisin bread around Easter, it seems to be a part of a traditional Easter brunch. 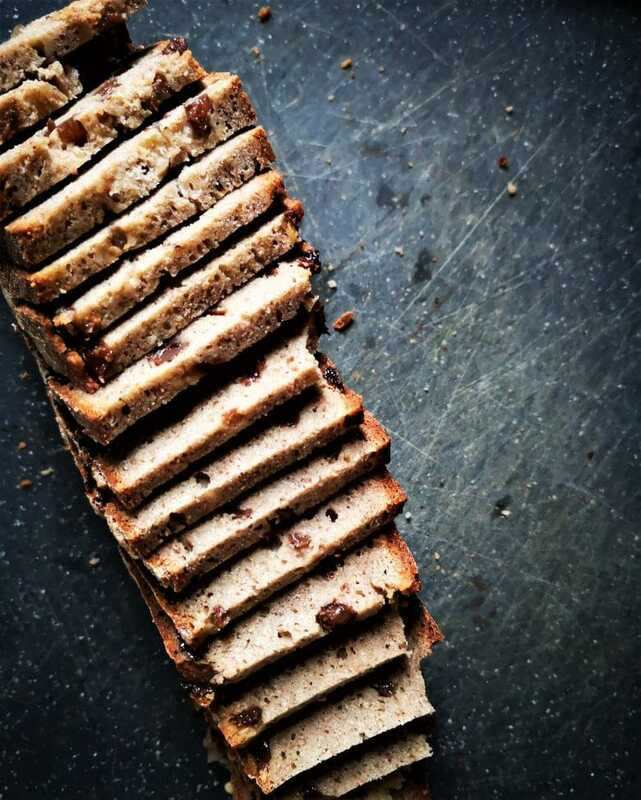 The countries make there own version as did I with this Multigrain Cinnamon Raisin Bread. I have a delicious multigrain bread recipe here on my site which I took as the base for this sweeter version. 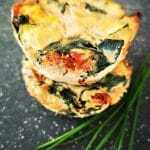 To see the comprehensive bread recipe with video you can click here. 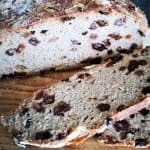 The same technique is used for this multigrain cinnamon raisin bread, I just switched up and added some ingredients. 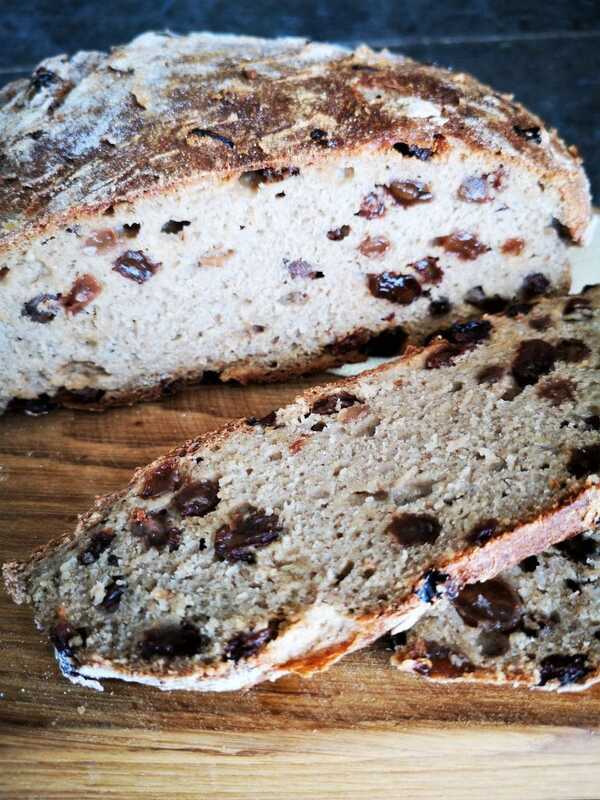 There is something comforting about raisin bread. 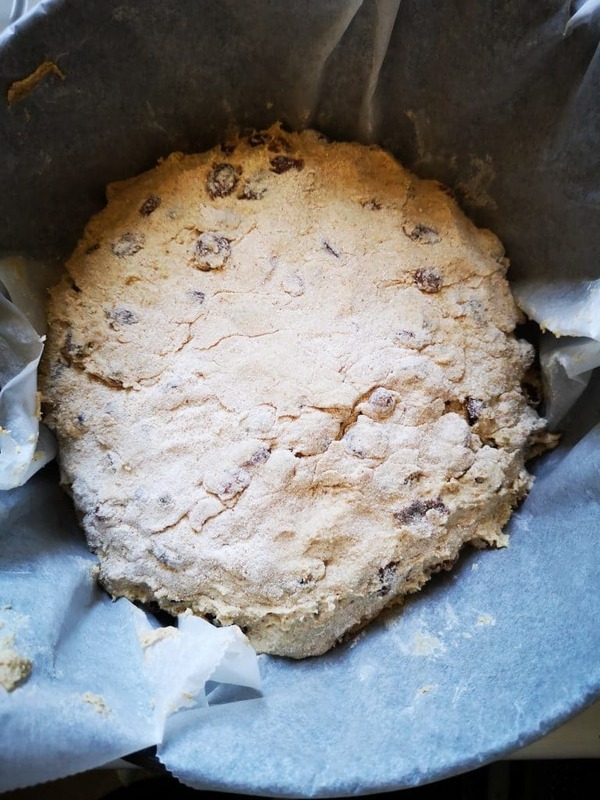 Because I actually want to eat this I my version of the Easter raisin bread is gluten and yeast free. This “free of everything” baking is far more challenging then what I used to do. This bread turned out really good, sweet, not dry, and I love the taste of all the grains together. Also pretty easy to make. You can work with flours I like to blend my grains into flour because I simply don’t have the so many flours on hand, I do have the grains and I know that it is a whole product I bake with. 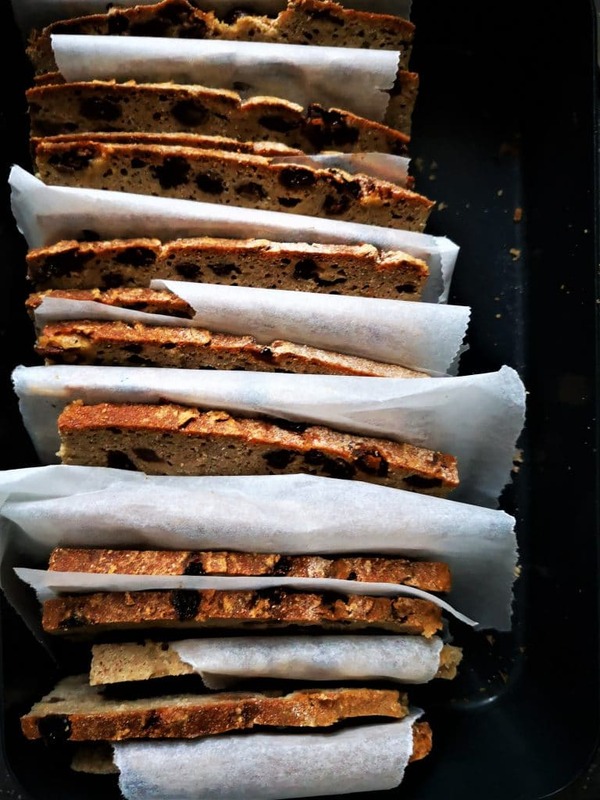 And no, it is not the same as its white flour yeast brother and it will never be but a slice of this gluten free raisin bread with a hot cup of tea makes me happy for sure. 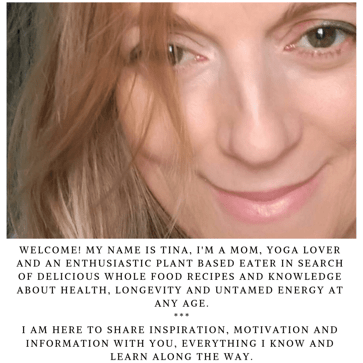 I mix the blended flours with the psyllium gel, psyllium husk and plant based milk, and all the other ingredients in my food processor. When done I add in the soaked raisins. 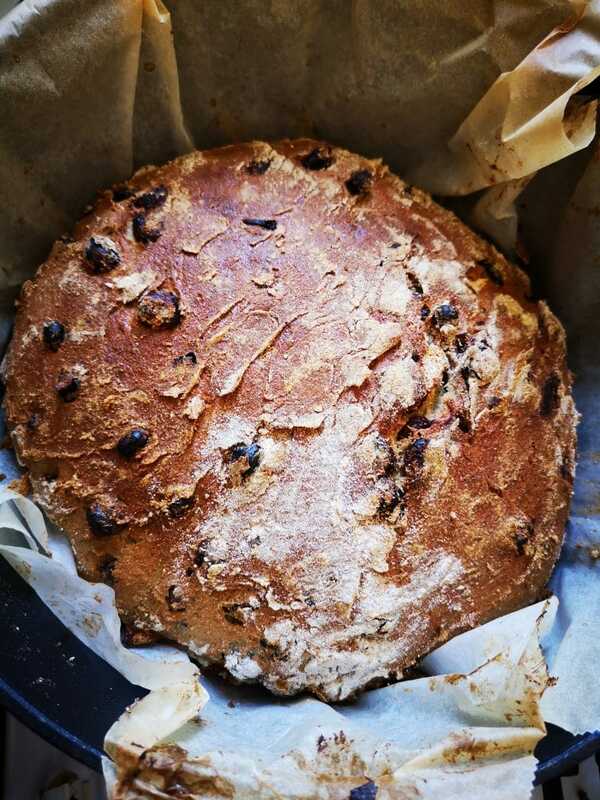 I have baked this bread and the original version in a regular tin but I just love how it turns out when baked in a Dutch oven. Honestly I had that thing for two years and haven’t used it until I started baking bread in it. The crust is amazing and it keeps just the right amount of moisture inside. Because this dough has plant based milk in it instead of water the crust is less crunchy, softer, but look at this color! I bake it with the lid on for 20 minutes and the remaining 40 without. If not using a dutch oven I put a bowl of water in the bottom of the oven for to create steam. 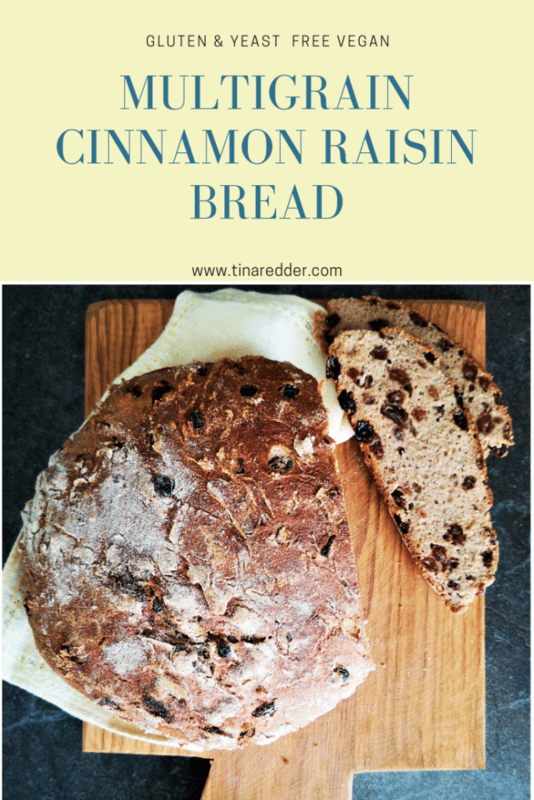 These yeast free gluten free baked goods are a bit denser than the yeast risen ones, after a day or two this multigrain cinnamon raisin bread tastes crazy good when toasted and topped wit some jam. 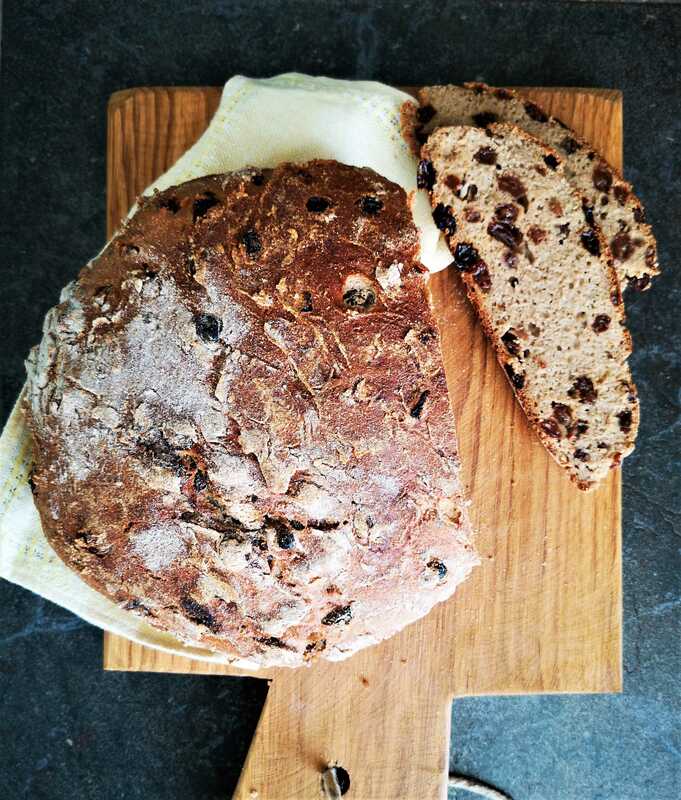 The soft raisins, maple syrup and the cinnamon give sweetness to this delicious bread. I love that all the fiber is present and that the flour is made up of all kinds of whole grains which makes this bread a good source of protein. Freshly baked above and three days old below …. I slice it with a sharp knife to freeze leftovers. Folding parchment paper between the slices will keep them separate while freezing. So good toasted! A sweet, gluten and yeast free bread. 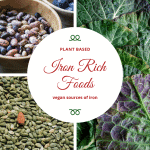 Using whole grains it is rich in fiber. Preheat oven to 200C. I like to place a ovenproof dish on the bottom with water to create steam in the oven. 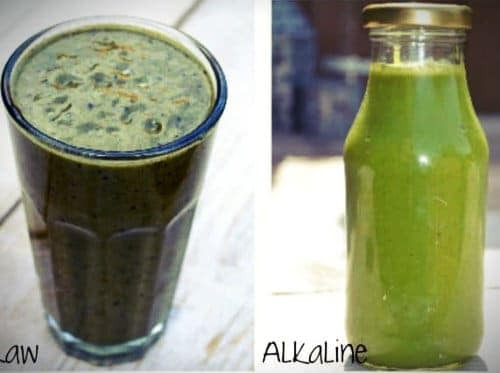 Mix the psyllium husk with 1 cup of plant based milk and let it thicken. Whisk so it wont form lumps. If you are using whole grains you should blend them all up into a flour. 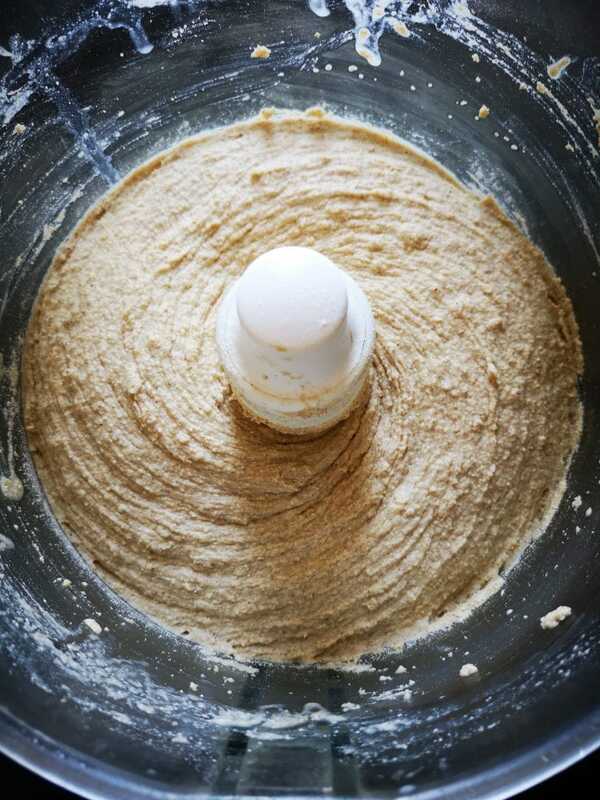 When using flours mix them, the total should be 3 and 1/2 cups of flour. 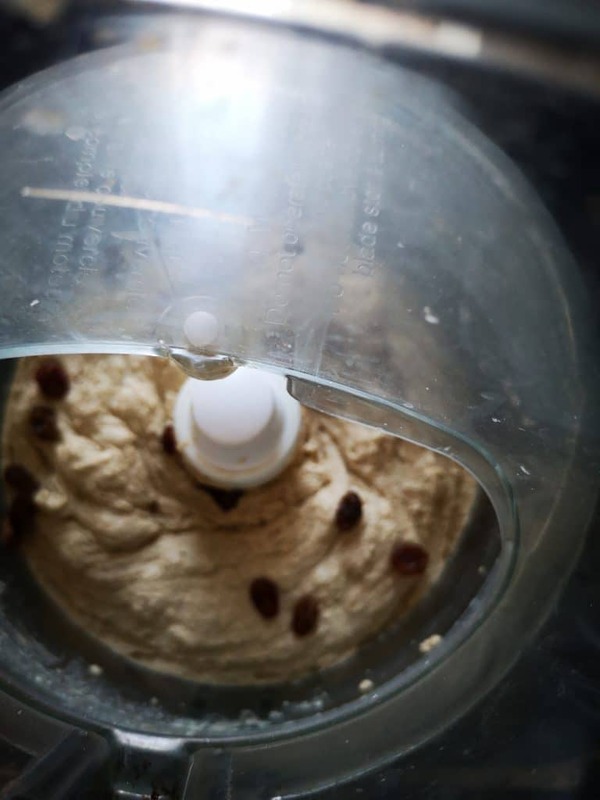 Add the flours to a food processor, add in the salt, baking powder, remaining plant based milk, maple syrup and the psyllium gel. Process until it comes together as a dough. Add in the raisins and pulse to combine. Form the dough into a bowl using some extra flour for your hands. Bake for about 60 minutes until light golden and when you tap on the bottom of the bread it makes a hollow sound. I brushed it 20 minutes before it was done with some plant based milk. Place it to cool completely on a wire rack. Slice with a sharp knife when cooled. 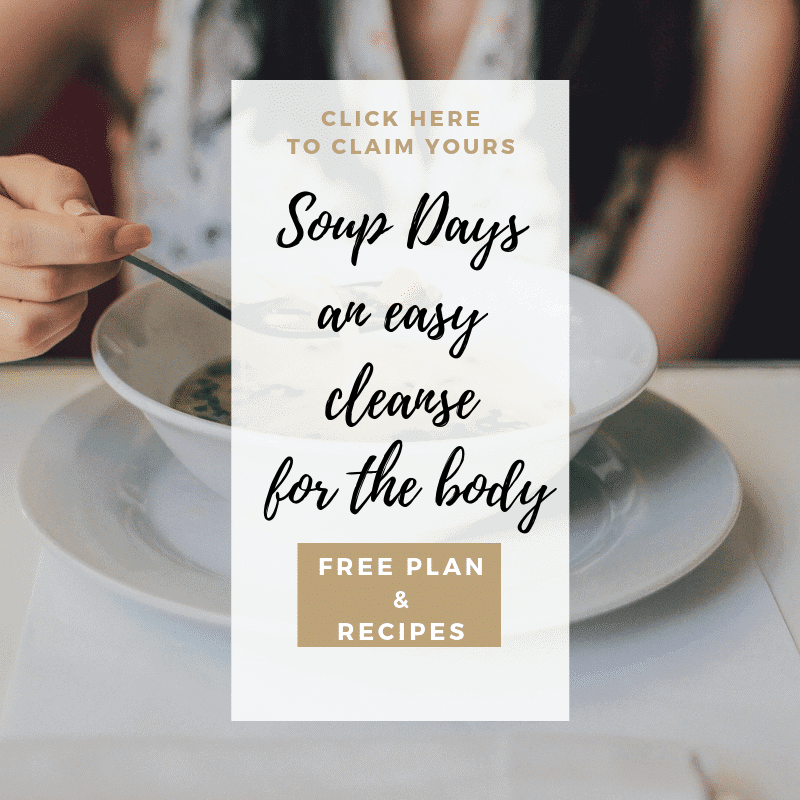 It stays good for up to 4 days, the bread can be sliced and frozen for longer. This bread is delicious freshly baked but also the second and third day toasted and eaten with some blueberry jam.